Animals do not belong in shelters. We do what we can to provide the best care we can, but the shelter will never be a home. The process of surrendering a pet can be traumatizing and we don’t want this for pets or their owners. This is why the WHS Behaviour Department is working to further our community outreach, meeting people where they are with the resources they need. We talked to Val Poulton, the head of our Behaviour Department with over 20 years of animal behavioural experience, about the need to expand the Department and reduce surrenders to the shelter. Through this support, the family was able to keep their dog. We want everyone in our community to be able to access this kind of support. Why is it important for the WHS to do community outreach to help pet owners? What sort of community support is the WHS looking to offer? “We want to develop workshops to offer people within their community and start meeting them in easily accessible spaces like libraries, community centres or meeting rooms for multi-unit housing – so they don’t have to come to us,” says Poulton. 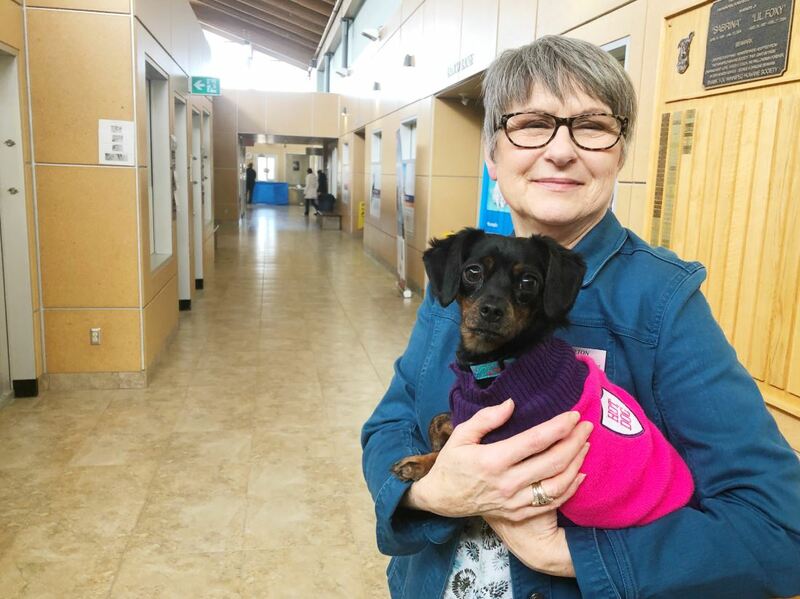 At the Winnipeg Humane Society, the surrender process is done through creating an online profile – owners who surrender for behavioural reasons are contacted by the WHS Behaviour Department to offer resources and try to divert the surrender and help the owner keep their pet. But the earlier in the process this can happen, the better the chances of keeping pet and owner together. In 2015 the ASPCA conducted a small scale survey on pet owners who came to a shelter in Los Angeles to surrender their dogs. They found that even though these people were emotionally attached to their dogs, they weren’t able to provide the care for them for either financial reasons or a lack of knowledge on what resources were out there. When asked if they’d keep their pets if given the right support, 88% chose to learn about help they could get rather than surrender their pet. We want to give people the resources they need to keep their pets and not have to surrender a pet without all the help they need. You can find behavioural help on the WHS website or sign up online for one of our behavioural classes or workshops. You can also call the Behaviour Help Line at 204-988-8808 for more assistance.